"Very nice honey If not even the best I ever tried. Very smooth with great taste. Great wrapping thank you!" A very rare product with a special touch. Together with the White Fir Honey, Lavender honey is one of the most luxury honeys you can get. Typical for this honey is its bright yellow and brown color and its smooth and creamy consistence. Our Lavender honey is flavored with a very tender Aroma. It’s an excellent specialty for our honey fans. 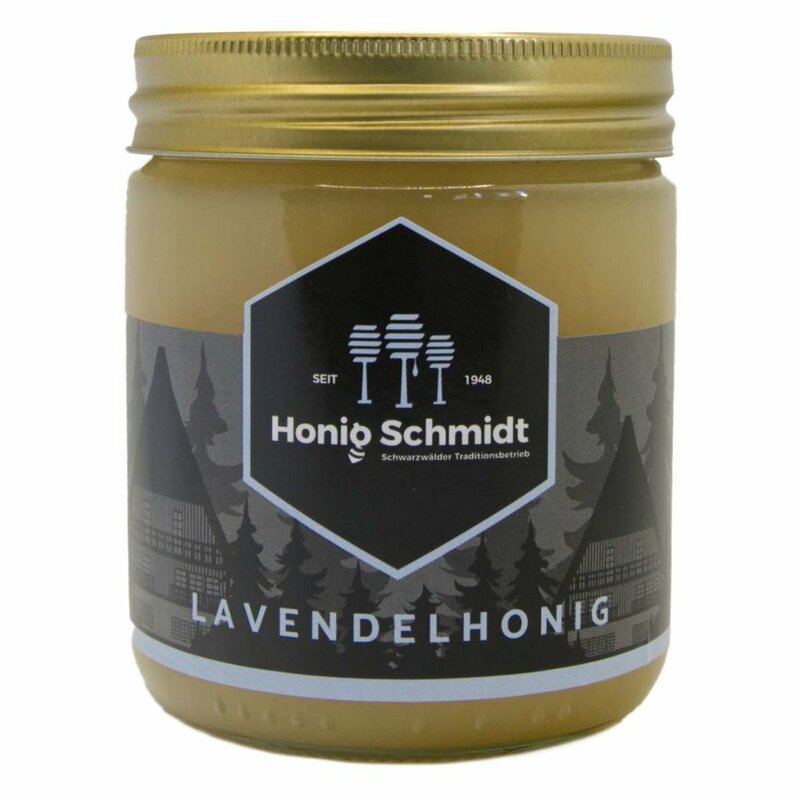 Our special tip: If you are stressed and need something to relax: Take a nice bath with a cup of sweetened Lavender honey! Author: Abdulaziz A. Abdulaziz A. Overall High quality honey and excellent packing. Author: HAMAD A. HAMAD A. Excellent and very good quality, Shipping and packaging the product very good. product: it is provided in a glass bottle with a nice cover that I like, great smooth taste with strong aroma of lavender flowers that you are going to like in my case I can smell it in my sweat. I give it 5/5. Overall satisfaction: I am totally satisfied that I bought it simply I am going to order again and again, very good quality as usual from the Germans.